2019 Signature Project grant applications now available! 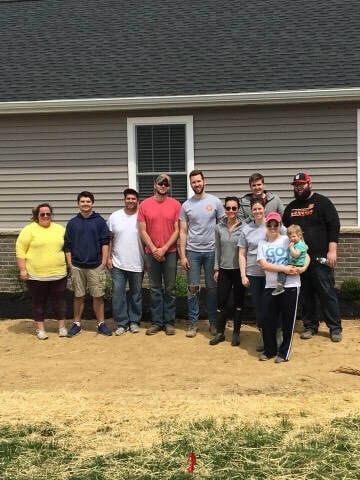 The Rotaract Club of Evansville dedicates its fundraising efforts to one nonprofit organization each year that is working for the public benefit to enrich community spirit and alleviate social disadvantage in the Evansville area. Projects that enable Rotaract members to be hands-on and provide the ability to make a distinct impact on the organization will take preference. Grant recipient will be notified by November 1, 2018. 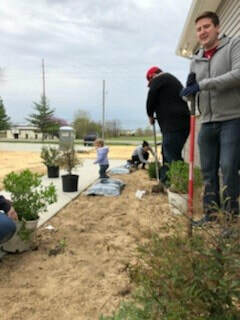 2018 Project United Methodist Youth Home – Planting Day: A little dirt won’t hurt! 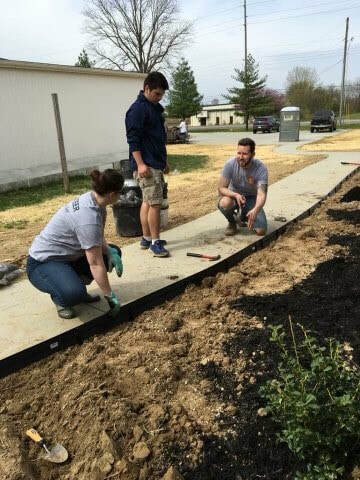 With a $5,000 grant Rotaract Club of Evansville started the Rotaract Reading & Healing Wagon at St. Mary's Hospital for Women and Children. 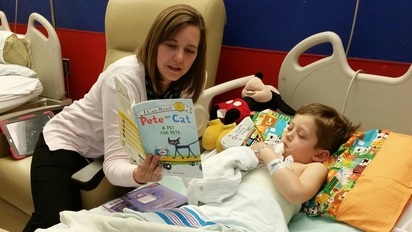 The Reading & Healing Wagon is designed to foster the healing power of imagination through literature to children experiencing medical treatment. The second Wednesday of every month members of Rotaract visit the pediatric department at St. Mary's and read books to the patients. Each child is gifted one book during each visit. 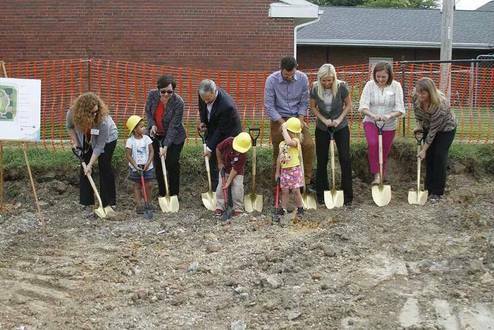 Over the course of 3 years Rotaract Club of Evansville raised over $70,000 through individual, corporate and in-kind gifts to transform an empty parking lot into a natural playground for the children served at Ark Crisis Child Care Center. 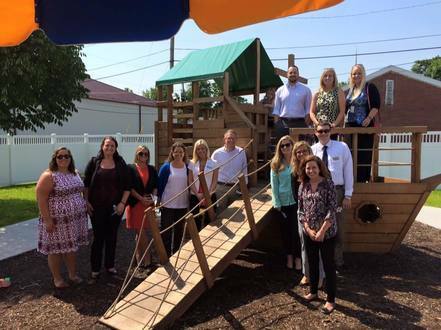 Ark serves at-risk children and families in the Evansville area through affordable childcare.